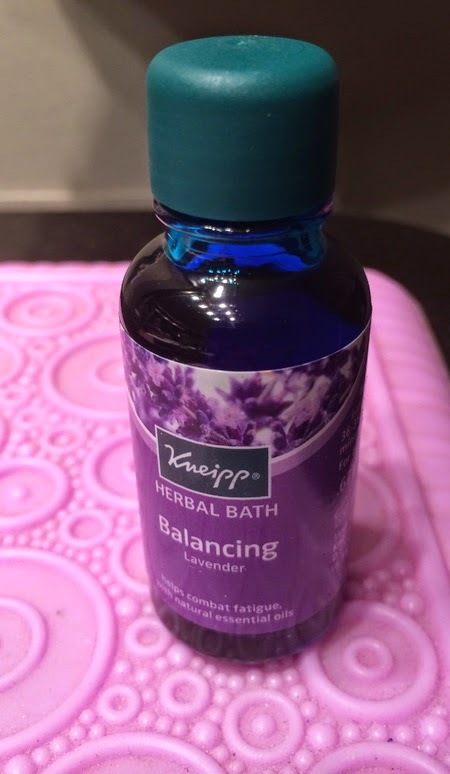 THE SKINNY: The first things I will tell you about Kneipp Herbal Bath (Lavender) is that the bottle is not made of blue glass. It's actually clear and the coloring is from the bath product. It is so blue in fact that it turns your bathwater blue. And it has a warning not to pour it right against the tub because it might stain. But the aroma was wonderful. The bathroom was filled with a clean, lavender scent that was relaxing. The bath gel or oil -- I'm not quite sure what to call it really -- has no bubbling or foam action. It did not feel quite as luxurious as I really wanted the bath to be. CHECK IT OUT: You can find Kneipp Herbal Bath from a variety of retailers and buy a sample size direct from the company.